I am currently engaged in studying the interplay between the autonomy and resource-mix strategies of rural social enterprises. I am also interested in the empowerment capacity of social enterprises under conditions of peripheralisation. 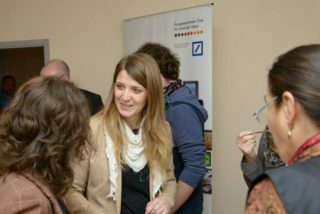 2014-2017 Researcher, Marie Curie ITN RegPol² Project – ESR11: “The role of social enterprises in rural development”, Host institution: Social Impact gGmbH: The non-profit social impact GmbH exists since 1994 and considers itself as an agency for social innovation. The organization develops projects in the areas of social and youth entrepreneurship, European networking and regional development, and uses its expertise and network to support dissemination and development of social innovations. 2016, 3 months Visiting Researcher at the Research Centre for Economic and Regional Studies (CERS HAS), CERS HAS is part of the only full-time research institute network in Hungary and undertakes theoretical and empirical studies in the fields of national and world economics, in regional processes and other interdisciplinary areas of social sciences. 2015, 4 months Visiting Researcher at the Leibniz-Institute for Regional Geography (IfL). The Leibniz-Institute for Regional Geography is the only non-university research institute for geography in Germany. Regional restructuring processes lie in the research centers main interest, their economic and social impacts, and regional policy responses in an integrated spatial perspective focusing on Central and Eastern Europe. 2012, Participant on the Climate-KIC Winter Journey, A five-week-long international program financed by the European Institute of Innovation and Technology (EIT). Main skills learned: How to make a Business plan, and how to introduce our business idea in a pitch.